Living in California has great advantages, from warm weather to beaches and forests. Some may even rank California as the number one state to live in. But not all is well in the Golden State. A recent report showed that it ranks near the bottom of WalletHub's "Best and Worst States to Drive in" list for 2018. That probably doesn't come as a surprise to most. According to the report, California is ranked No. 47. This means that only three other states have it worse: Maryland, Washington and Hawaii. California performed the worst in categories like cost of ownership and maintenance, traffic and infrastructure, highest car theft rate and highest average gas prices, according to WalletHub. 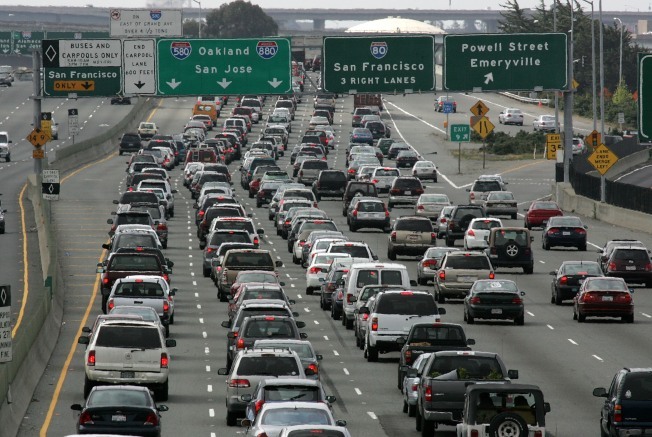 It was also among the states with highest percentage of rush hour traffic congestion, which Bay Area drivers can attest to. However, California did rank No. 1 in some categories like access to vehicles and maintenance, most auto-repair shops per capita and fewest days with precipitation, the report indicated. Data for this study was collected from the U.S. Census Bureau, Federal Bureau of Investigation, National Highway Traffic Safety, American Automobile Association, Advocates for Highway and Auto Safety and Federal Highway Administration, among others.